I like to be inspired, especially when I’m creating new garden spaces. I recently found a nice healthy dose of inspiration and some great new ideas from an old and familiar place – the U.S. National Arboretum. It was a beautiful day, and the plants, flowers, shrubs, and trees were working away as winter approaches. I could spend the entire weekend at the Arboretum, and still want more. Here are a few pictures from my visit. Now is a good time to add storing clay pots to your list of garden chores to do before the cold weather sets in. It’s important to empty, clean and sterilize your clay pots for winter storage to give them a longer life. Clay pots must be stored in a dry environment to prevent cracking – old soil can be used for compost, but don’t save it for next year’s pots. Be sure to scrub your pots with a bleach solution to remove salts, algae and any lingering plant germs before storing. A cold location is fine as long as the pots stay dry. If you take care of your clay pots now, you’ll enjoy them for many years to come. 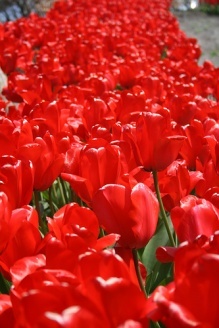 Adding trees, bushes and bulbs will create changes to add big excitement to your Spring garden. 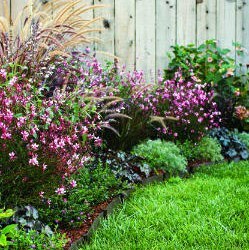 For a less expensive garden adventure, think about rearranging and replanting some existing shrubs. If you’re planning on getting your bulbs in this weekend, before digging, decide on your planting scheme by laying bulbs on top of the ground where you want them to grow. Irregular patterns will create a more natural display. 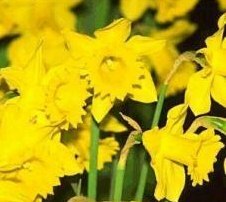 No matter what kind f bulbs you’re planting (daffodils, tulips, grape hyacinth,) a good general rule to make sure you have the best possible display of flowers is to set them at a depth equal to three times their diameter. Place your bulbs in their planting holes pointy side up, and fill your holes with soil, firming it to eliminate air pockets and to secure bulbs in place. With a river of red tulips, a burst of cool Scilla blue, and striking yellow Narcissus to rival the sun’s brightness waiting for you in early Spring, winter becomes much more tolerable! Mid- November is a great time to move trees and shrubs into new positions and to plant new ones so they become established before winter arrives. For trees and shrubs, plant about a half-inch deeper than the pot surface. With bare root trees, plant up to the nursery mark, the line of soil on the stem that shows the previous planting depth. Firm them in to eliminate air pockets around the roots which can lead to rot and the plant moving around during rough weather. When you bring your plants inside this year, which you should do with all containers and pots, remember that you can actually save money on fuel costs by turning down the heat in a room set aside for winterizing plants. Plants will flourish in bright rooms with nighttime temps as low as 60 degrees. 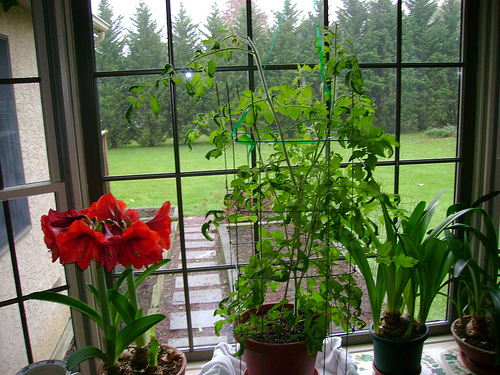 Reduce watering — do not fertilize — and group pots together to raise levels of humidity. Keep your plants away from heat registers; overheated rooms will stress plants, lower the level of humidity, and increase pest problems. Your plants will stay safe and healthy, and you’ll save a few dollars along the way! But even if you don’t create a plant room, bring your plants inside during the winter season because they will die if you don’t bring ’em in. Plants are like old friends, and there’s nothing better than having some old favorites back in the garden for spring.